In our daily life the influence of the visitors who come to our house is felt not only in their presence but remains even after they have left. In the chair on which they have sat, the room in which they have been, the hall in which they have walked a finer person can sense it, though not, of course, everybody. Once, on a journey, I had taken a room at Kandy in Ceylon, and during the hours of my meditation in the evening, whilst I was engaged in the sacred practices, I felt very restless and disturbed, and could not fix my mind on my meditation for a single moment. I became cross with myself, and went to bed, but my uneasiness increased. Then I got up and felt I must look in the cupboards. I did not know why I was doing so. I think perhaps my inner self wanted to guide me to the reason for such an unusual experience. I found there, to my surprise, a bunch of black hair, looking as if some woman had collected her combings for a long time. I spent a bad night, and in the morning the first thing I did was to ask the landlady who had occupied this room before me. She said, 'Sir, don't remind me of her. The thought of her makes me feel ill. A woman lived here for sometime. She never paid me my rent. She called me bad names, fought with the men, and quarreled every single day, driving away all my other tenants. Now my heart is at rest since she has left this house.' I said, 'What a shame that you gave me such a room to stay in.' She said, 'Sir, I gave you that room on purpose, because you seem from your looks to be a godly man, so that I was sure that this room would be purified by your good influence.' I had no answer for her but a smile. If the influence of the living is such, how much greater is the influence of the dead in those places where they have lived and been happy, to which they are attached, and from which death has forcibly taken them! The remembrance of their home keeps them in the home in which they lived or in the field in which they worked, and in the clubs in which they enjoyed life, and in the houses of the friends to whom they are drawn. If the spirit, during his life, has been interested in good dishes, after his death wherever there is a good dish he will always be there. If all his life he has been fond of whisky, after his death he will be at the bar where there is whisky. Spirits are also attracted to their graves and to the crematorium by the love of the body which they had thought was their only self, but which in fact was merely the instrument of experience. In fact there is not one inch of space, whether on land or on the water, free from the influence of spirits. A person who has been very fond of a certain society, of the society of his friends, his parents, his brothers and sisters, will long to be in that society. The spirits that are desperately attached to this plane, and especially those among them that have but lately left it, manifest to the view as apparitions, or else by knocking at the door, by rapping on the tables and chairs, by lifting and removing objects, and by speaking. Their voices vibrate in the spheres and become audible to some of us. Sometimes one hears singing and shouting, and sometimes dancing on the top floor, or fighting going on among them. Some spirits appear to the living without any clothes, some with their legs and feet twisted outward. The former is owing to their lust, also to the misery they went through in life; the latter is due to a life passed in the thought of duality, and because they have gone astray in life, not having kept to the thought of unity; their body itself then demonstrates their crookedness. I had my first experience of the spirits when a boy. One night I awoke in the middle of the night feeling a wish to look out of the window into our courtyard at the beautiful moonlight shining there. I went to the window, and looking out I saw some way off a man of saintly appearance, clothed in a long white robe, with long snow-white hair and beard. I saw him as plainly as in full daylight. I was amazed at the sight of him, wondering how it had been possible for him to enter our courtyard, all the doors being locked. But for his saintly appearance I might have supposed him to be a thief, but the nearer he came the taller he grew. At each step his height increased, until I could no longer see his head, and as he came forward his figure became a mist, until at last he was like a shadow, and in a moment he vanished from my sight. My hair stood on end and I was completely overcome by bewilderment. The next morning when I told my family what I had seen, they tried to make nothing of it in order to keep me from superstitious beliefs, but others told me that they too had often seen this phantom appearing in this quarter. This taught me that spirits are attached to those places in which they are interested, just as we are, and they are constantly drawn to the places of their interest. Their form is not solid but ethereal, and can expand. This phantom which I saw was that of a Pir who lived in the well in our courtyard. After a few years of these first experiences I was trying to forget and disbelieve this impression, fearing that it might lead me towards superstitions. But one day, happening to arrive at our country cottage in the middle of the night, I found on our land a huge person at a distance of three yards from me, making a sign that he wished to wrestle with me in the way that Indians do, who give a challenge by slapping their thighs and crossing and slapping their arms. I did not for one moment take him to be a man. I at once thought that he was a spirit. At first I was terrified, comparing my size and strength with this gigantic spirit. But I had heard that the spirits swallow the fearful, so although I did not know the art of wrestling, I determined to fight with him, and I advanced, quite prepared to give him a blow. At each step that I took forward he drew back, which naturally gave me courage to close in upon him. He retreated until he was against the wall. I was glad that now I had got him, and approaching I struck him a strong blow, which, instead of hurting the spirit, knocked my hand against the wall, and the spirit disappeared. The reason why the spirit appears and yet has no solid form is that it exists in a vaporous state, and the image seen in this vaporous form is nothing but the impression of his former body when on earth. Among very many different experiences I cannot forget one which made a great impression upon my mind. I had purposely rented a haunted house in James' Street, Secunderabad, although my friends advised me not to, and in order to experience any manifestations there I slept there alone with a servant. After a few days I began to find that whenever I played upon the vina at night, sitting on my bed, the bed would gradually begin to move as if levitating, and to rock to and fro. It would seem to rise for an instant some way in to the air, but the movement was so smooth that there was no shock. I was playing with my eyes closed, and I thought that perhaps this was the effect of imagination under the spell of music. This went on for some time. Then I happened to send my vina to be repaired, and one night to my great horror I heard a noise as if all the windows of my house were being smashed. I got up and looked everywhere. The window panes were unbroken, and there was no reason to suppose that there might be anyone in the house who had caused the noise. For three days this went on and I could not sleep. I had no peace at night until my vina came back. The spirits seemed to be so much interested in my music that they rejoiced in it and showed their appreciation by lifting me up. When the food of their soul was not given they rebelled. You might ask by what power the bed was lifted. The answer is that the finer forces are much more powerful than the external forces. There is nothing that they cannot lift up or carry. There are some who master the spirits so that the spirits bring them whatever they desire from anywhere, jewels, money, fruits, food. The spirits can even carry a person from one place to another. But those who work evil by the help of a spirit, train that spirit in evil and one day the spirit throws the bomb of evil back at them. Sometimes spirits bring news for him who has mastered them. From whatever distance it may be they can bring the news in a moment of time. Sometimes the spirits go and cause trouble to someone if they are so directed by a spiritualist master. I have myself seen a case where the spirits would set fire to a man's house. Sometimes his clothes would catch fire, sometimes his papers burned, sometimes the food disappeared from the dish in which it had been put and dirt was found in the dish instead. 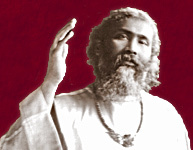 In twelve years' traveling throughout India, during which I concerned myself with psychic research, I have met with great and extremely expert spiritualists, who were able to receive news in a moment from any part of the world, and could even foretell events by the help of a seer spirit. Muhammad Chehl, a simple, unassuming man of ordinary appearance, our greatest spiritualist in India, showed the most wonderful phenomena. He could disconnect railway carriages from a train, leaving as many as he chose with the engine. Sometimes he disconnected all the carriages when the train was starting, leaving the engine to start alone. He never cared to travel in any class but the third. He used often for fun to ask the people sitting in the same railway carriage to show him their tickets, and then he would take the tickets, tear them up, and throw them out of the window in their presence. Everybody was angry and wanted to fight with him. He said to them, 'Who has taken your tickets? You have them with you.' He said to one, 'Look in your turban,' to another, 'Look again in your pocket.' to another, 'See in your shoe,' to another, 'Find it in your sleeve.' They were all amused and thought him a wonderful conjurer. He said to them, 'You may think that I hid your tickets and then put them in your pockets by sleight-of-hand, but what do you think of this?' And he put his hand out of the window and asked for a few hundred tickets for Delhi, and a few hundred for Ajmer, and a few hundred for Agra, and he asked them what other stations they wanted. When the train reached the next station there was great excitement. The stationmaster had just received a telegram saying that all the tickets for those stations had been stolen in a second and nobody knew where they had gone. Muhammad Chehl never produced such phenomena unless he wanted to amuse himself. He never cared for notoriety or money. Nothing would induce him to make a show or a trade of his power. If he had cared to show his great power in the Western world, he could have filled his house with bags of gold.